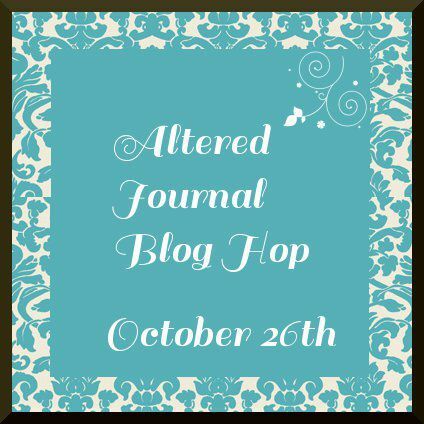 Welcome to our Altered Journal Blog Hop! If you arrived here from Robin's blog, you are on the right track! If you happened to stumble upon this hop, you can begin hopping at our host, Melissa's blog. She is donating two Cuttlebug embossing folders and ten Colorbok embellishments! You must comment on everyone's blog for a chance to win. I altered a composition book for my teenager. All the papers and elements -- with the exception of the purple ribbon -- are all from Echo Park's Chillingsworth Manor collection. My daughter selected the papers and elements she wanted me to use. I did the rest. This is actually a pretty quick project to throw together! This composition book has unlined pages, and my teenager plans to use it to record sketches and ideas. I asked her what she would write on the first page or what she thinks she might sketch first. Spoken like a true teenager, she looked at me, shrugged, and said, "I don't know". LOL The main thing is that she's happy with it. I'm sure it will be put to great use. Your next stop is Maria's blog. Here is the lineup just in case you get lost along the way! Love this book! I love the Paper.. don't you just love the shrug answer lol.... Thanks for sharing and taking the time to be part of this hop! luving the purple against the backdrop newsprint & bunting swag - great effect! I love that you also created your journal for your daughter.. I love, love the papers you used for your journal! Great work. Great job on your altered journal! It sounds like your teenager loves it already! TFS! Love this! Love the Halloween paper!!! I love your journal and the fact that you let your daughter pick out the supplies! The banner is my favorite part! This is such a beautiful sketch journal. I love your daughter's response. She sounds like my son. But I know she will make beautiful sketches in it and think of you when she does. That's awesome!!! I love that it's something that you and your daughter come together to make. Thanks so much for sharing. Great project !! Love the papers you used ! 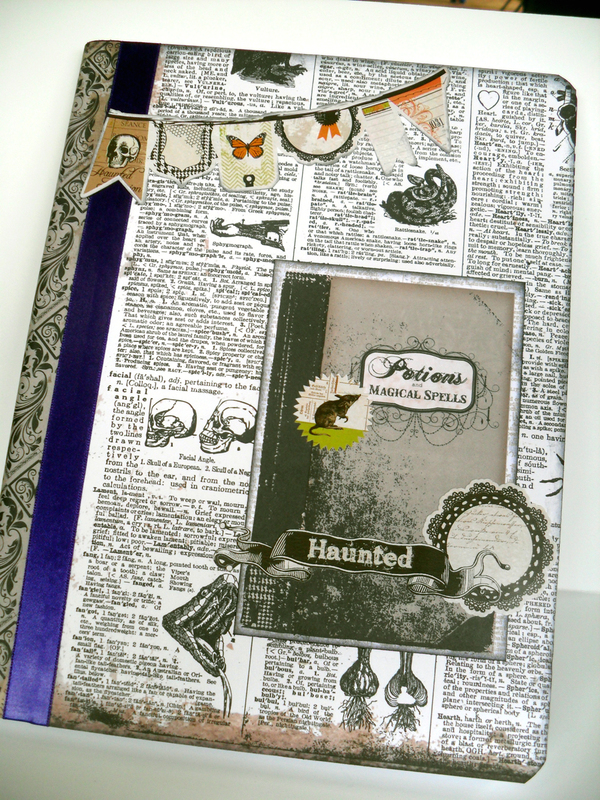 What a cute Halloween journal. Right in the spirit of the Holiday. 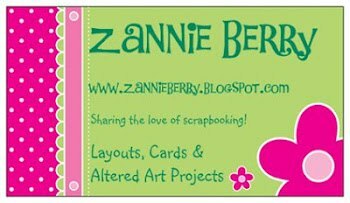 Thanks for such a lovely blog hop. Your teenager has great taste! I love this! Again happy to hop with you! Love it! So cool and love the background paper! what a fun design Dena, love EchoPark papers! !